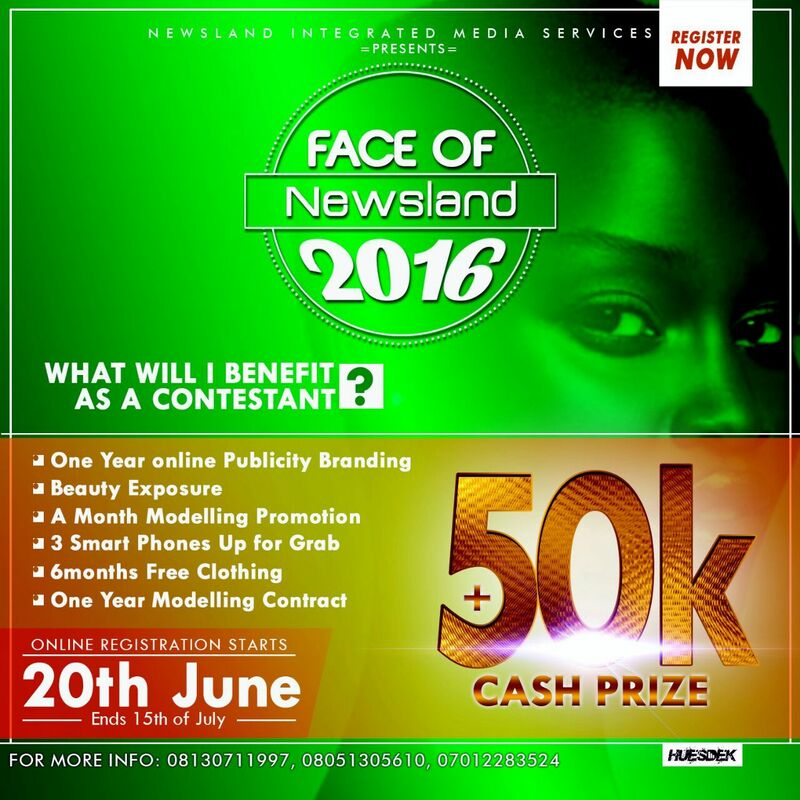 (Dont Miss this opportunity)Register Now For Face of Newsland 2016.Click to Read more. Face of Newsland is the only online contest that offers the opportunity for young girls to be recognized in the industry with the best support. Are you an aspiring or professional FEMALE model? Are you of 5ft Above? are u photogenic? 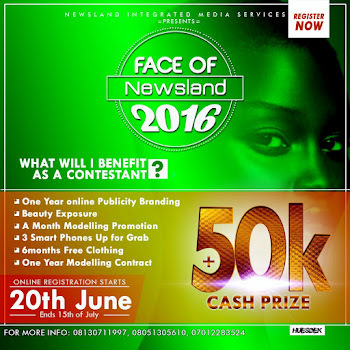 Then the FACE OF NEWSLAND 2016 is yours for the taking. NB: All pictures MUST be on white tanktop and on white background. 8 Interesting things you Need to Know about Miss Chioma iheomamere, Hottest Model in Michael Okpara University.